The day is upon us! 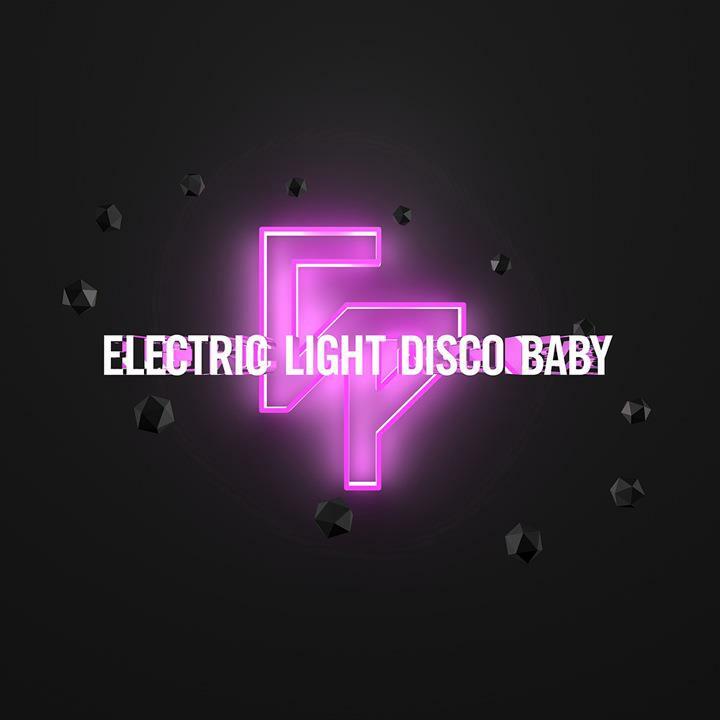 Our first single ELECTRIC LIGHT DISCO BABY is now available for download all over the place. I was up late last night since I wanted to get a demo of mine finished. Naturally Matt was online so we were talking through various bits and bobs. I decided on a whim a little after midnight to check Amazon to see if our single had ‘gone live’ yet. It had. Squee-ing ensued. Matt checked iTunes and it was there too, ever so lovely, available for purchase. Our Baby's all grown up and on iTunes! Before I bombard you with any more clickables I want to take a moment to reflect (Wait… When aren’t I reflecting..?). I’ve spent this week finding all possible meanings for this song. I’ve talked about technology, understanding and trust, that disco feeling, and braving the unknown. 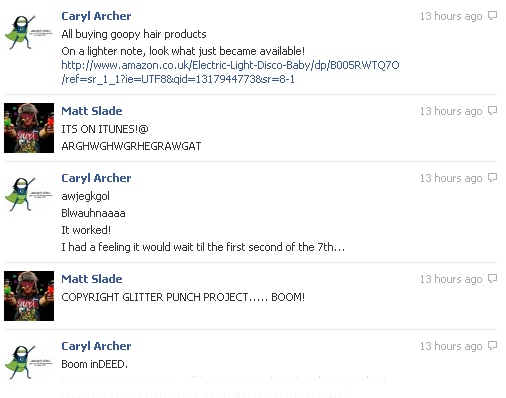 I think the one that shines through most is my explanation of what disco means to us. That’s probably the main thrust of the song, but it has also come to represent the creative process and the emotional investment therein. Our first single, the fruits of our labour thus far. Matt said last night it’d be great to hear my “thoughts on having an actual song of ours up for sale.” I guess I haven’t talked much about the business end of things. We’re not expecting to generate a great deal of coin from our first venture, but the idea of being in the market at all… It’s a very proud moment. It adds to the feeling of professionalism. And what’s more we have been able to do everything independently. That is why I’m super-thankful for the services offered by CD Baby. They’re geared really well to independent musicians, giving them a fighting chance of actually being able to live off the music they make and not paying over the odds for the privilege of their tracks being available for sale online. So, it’s Friday. The weekend is just hours away. What are you going to do? I’ll tell you what you’ll do. You’ll download this track and blast it loud as part of your pre-night out ritual. I’d be perfect for your house party playlist. Or maybe you’re pushing a deadline and need something to help you power through your work. It’s a song for all occasions!